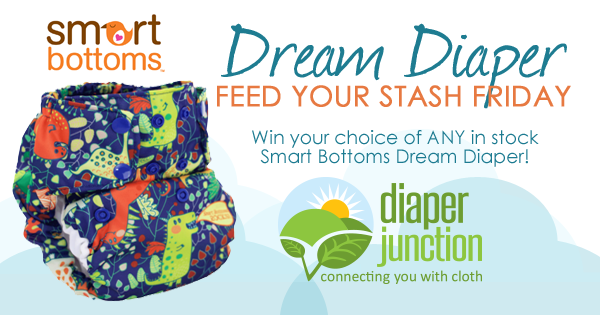 Win the NEW Smart Bottoms Dream Diaper! The popular and innovative new diaper style combines Smart Bottoms popular AIO design but gives you the option for additional snap in inserts and a pocket for adding custom absorbency. To shop our selection of Dream Diapers click HERE. One lucky Diaper Junction fan will win their choice of ANY in stock Dream Diaper from DiaperJunction.com! Enter to win using the Rafflecopter form below. Open to the USA & Canada. Winner must be 18 years or older. Winner will be notified by email and will have 7 days to reply and claim their prize. Pregnant with #3 and excited to try cloth this time! btw the tweet is for last weeks giveaway, the winterwoods. pick me! I would love some new fluff!! 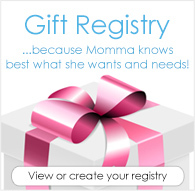 This is a great gift for my expecting sister!